When I was young, I remember sitting on the floor with my siblings, carefully analyzing our family’s photo albums – a collection of 3-ring binders with faux-leather covers, filled with hundreds of 4x6 photos. These albums told the story of my childhood, starting from the very day I was born. They include memories of important days like my first birthday, Christmas mornings, and the loss my first tooth. My younger sister Megan and I panicking, trying to get out of this sticky mud... and Mom just happened to have the camera? Looking back over the last six months since I became a new mom, to say "time flies" seems like a huge understatement. My daughter has grown and changed so much in such a short time and I don't want to forget any of the details. Ultimately, I realized I am experiencing the same feelings my own Mom had almost 30 years ago. So, I try to capture as many precious moments as I can while our family grows and changes daily, and I look forward to preserving these times in new albums that will last through the years. But I’m here to tell you that if you haven’t been printing your photos for the past decade or so, it’s time to start. 1) Technology is great, but potentially unreliable. Don’t get me wrong, I love technology. Smartphones have given us the ability (for better or worse) to answer emails at 3am, find a tricky trivia-question answer in seconds, and snap high-resolution photos effortlessly. But this digital world has also changed how we use those photos. For one, they now live all over the place – Facebook, Instagram, Dropbox, Google Drive..., you name it. But will those platforms be around forever? Please don’t assume so. Technology changes so quickly. Your best insurance is to create a physical copy of those special photos in addition to your digital version - that way you know those important memories can live on for the next generation. 2) Without photos, you might forget some of your most special moments. These are the big ones… Your wedding day. The day your first child was born. A first birthday. The final days of your pregnancy. A senior year of high school. You know, the really special times, when we often invest a pretty penny in professional photography so we will never forget them, right? But how do we easily relive these moments when they live on a disc, zip drive, or in the cloud? Our newly married sunset photos. It is a priceless feeling holding that day in our hands. We would never have that if we hadn’t printed our wedding album. So many details of the day would be lost, and we're determined to not let that happen. My niece Lauren (age 2.5 at the time) discovering powdered sugar is fun to make art with and also quite delicious! 3) You want to remember your everyday (real) life, too. While it is great to have an album full of professional photos, my favorite albums are of real life. The everyday moments that don’t make the online highlight reel, but the ones that paint a picture of your actual life. It’s the quick-snap photos of your child’s “artwork” created with powdered sugar on the kitchen floor, the precious way your baby looks while sleeping, or the blurry one where your husband is making your daughter belly laugh for the first time. Although these moments aren’t the ‘big’ ones, it does not mean they are insignificant. They help you recall not only what happened and how someone looked, but how you felt in that moment. Happy, silly, brave, bittersweet… printing your photos helps you remember it all. 4) A good-quality album Will stand the test of time. My baby album in all its glory, even though there are photos missing and pages falling out. Luckily, printing quality and technology have come a long way. We no longer need to print each photo as a 4x6 and insert them individually into hundreds of plastic sleeves (although if you want to go this route, go for it! I admire your ambition.). And combining all your photos – no matter where they currently reside – into one consolidated family yearbook or baby album is easier than ever with a custom design service like Shortcake. 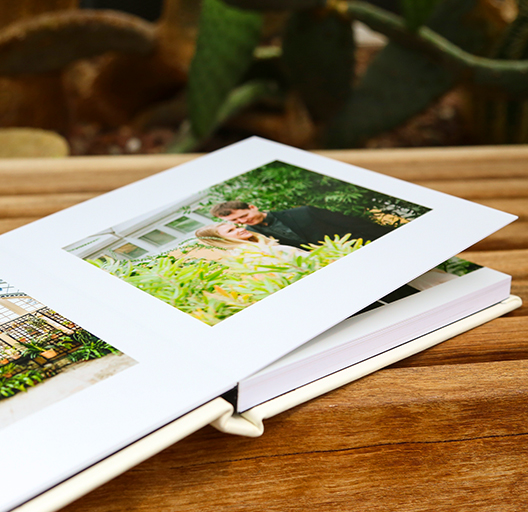 An 8x8 Shortcake Heirloom Album - note the thick pages and durable cover. The best part? Even if grimy toddler hands flip through the pages every day, your photos are guaranteed to stay in order, they won’t turn yellow, and high-quality features like thick pages and archival-quality inks will stand the test of time. 5) Your children, and their children, will be so grateful. Having the ability to look back in time is priceless. Think for a moment about your grandkids looking back at Grandma and Grandpa’s (your) wedding day – getting to see every detail and every ounce of love shared. Or the ability to pass around your 2016 Family Yearbook at your 2065 family reunion. Just imagine the stories that could, and should, be shared. Our 'first week of photos' baby album. For me, it is a crazy but comforting thought to know that decades from now, my daughter will have the ability to flip through her baby book and share it with her grandbabies. The album that includes the multitude of photos we took during that crazy, sleepless, amazing, and simply indescribable first week at home with her.